As a small business owner, do you struggle to increase your profits? Are you tired of working harder and getting less results? Does it seem like your efforts are not working as well as you would like? It is time for you to understand the foundation of your small business. PROFITS. 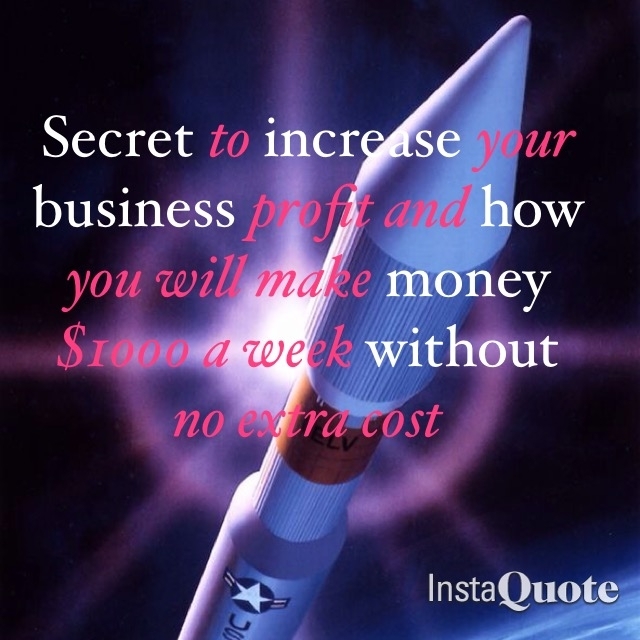 If you are not generating profits and in an effective and consistent basis, your business will dwindle slowly. Small business struggle to generate profits because they do not know the formula for creating profits on demand. If you understand the foundation of increasing and generating more profits you will be able to create a plan and implement a plan that will generate profits consistently. The techniques and strategies that you will learn are very cost effective strategies that might not even cost you anymore than what you are already spending. If you put the strategies to work for you and your business, you will be able to keep and attract customers and ultimately profits on demand.